A Special Economic Zone (SEZ) is an area in which business and trade laws are different from rest of the country. Their aim is to increase trade, investment and job creation. To encourage businesses to set up their operations in the zone, business friendly financial policies are introduced. These policies typically regard investing, taxation, trading, quotas, customs and labor regulations. Additionally, companies may be offered tax holidays, where upon establishing in a zone they are granted a period of lower taxation. 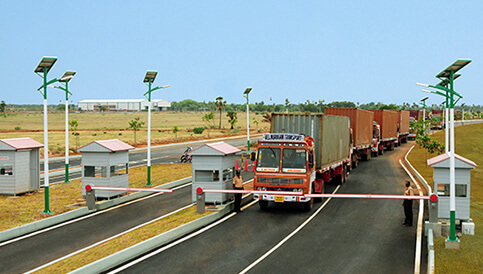 For more information on Special Economic Zones (SEZ) in India, please access the following link. Sri City SEZ is spread across 2700 acres of industrial land. It is characterized by its strong industrial base, productive workforce, and excellent industrial relations. Several Industrial Units belonging to diverse sectors have their presence in the SEZ.